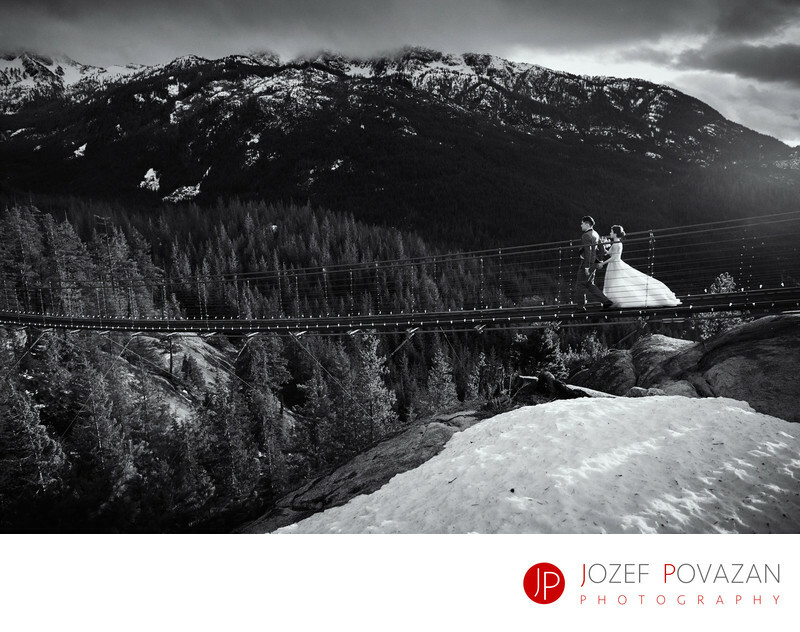 Sea to Sky Gondola Wedding photographer winter bride - Best Vancouver wedding photographer Jozef Povazan Photography studio. Sea to Sky Gondola Wedding photographer Jozef Povazan captures winter bride and groom walk across the suspension bridge at late evening sunset. Priceless moments like these became the most popular images in weddings around the world. BTS or behind the scenes lifestyle portraits are so romantic many couples cherish them more then posed portraits you were used to so much lately. if your soul desire unobtrusive wedding day storytelling with epic portraits that will blow your mind then I would be honoured to hear your ideas and plans for your big day. Thank you for visiting, my name is Jozef and I am photographer.